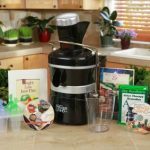 If you just bought yourself a juicer and you are looking to start living a healthy life, then let’s start digging into the best juice fast recipes for beginners. 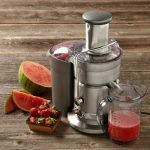 These will offer you all the knowledge you need to know in order to make the best juices out there without too much money or time invested in them. These recipes will also give you more energy in order to get through the day with a smile on your face! 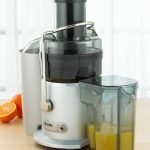 Let’s see what are the easiest to make juice recipes and also the tastiest! #1. Pineapple surprise – I know how it sound but bare with me. This recipe includes pineapple, berries and the surprise, kale. You will need up to a third of pineapple meat (with no skin on it), one or two medium apples, 4 to 6 kale leaves and also half of a cucumber. Because it has two fruits in it and quite a few vegetables it will end up as a bomb full of vitamins that will also taste great! #2. 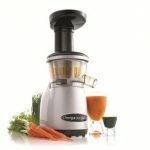 The essential – this Juice Fast Recipe is a bit different because it is a bit more sour that the first and not that sweet. You’ll need half a lemon or a full lemon, one large apple that you like, four celery stalks and up to four large carrots. After you juiced all of these add up to 10 stems of fresh mint and that’s it. You’ll end up with a refreshing drink that is great during summer. #3. The green orange? – well, this one involves orange, just as the title suggests and a few extras. Main ingredients consist of two large apples of your liking, two unpeeled oranges and one or two lemons depending on how sour you want it to be. 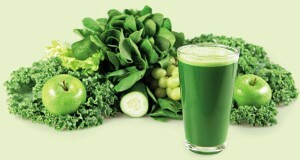 After these add about a cup of spinach and also a bit of mint. Drink this whenever you have the chance to because it is great! #4. Celery? Really? – for this recipe you’ll need four celery stalks (or more if you’d like to), 10 to 14 leaves of kale including the stem, one cucumber, one or two Grannysmith apples as well as one unpeeled lemon that will add the required acidity. Serve it during summer with three or four ice cubes and a straw. All your guests will be impressed! #5. The morning boost – just as the name suggests, this drink is perfect for those lazy mornings. To make it you will need 5 to 7 medium carrots (or for a different but equally good flavor, two cups of baby carrots), four stalks of celery, one unpeeled lemon (or orange if you want it less acidic) and ginger to your taste. Because it doesn’t have any greens in it, the end result will be quite orange, so it goes well with kids! 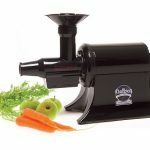 I hope you’ll all love all of these Juice Fast Recipes because the end results will be really worth it. These best juice fast recipes for beginners really are fast because you don’t need to prepare in advance. All of the ingredients can be had at your local farmer’s market or at the local market for a small price considering what you get from them.